(SNN) - If you sit in an office in front of a computer for a living, you face threats to your security all day. There is the ever-present danger of paper cuts, spilling hot coffee all over your lap or horror of horrors, hurting your back lifting a case of bond paper to refill the copier. Okay, so maybe the hazards around you are pretty tame, other than the fact that statistics say desk jobs will shorten your life for up to ten years, even if you exercise after work. The reality is, however, that the chances are very good you will not die on the job. This is not true for other occupations, though. For some trades, the risk of death-by-employment is a very real concern. The jobs that are the most dangerous might surprise you, too. For example, it may come as a shock to many but jobs that made the top 10 for peril in Canada did not include police officers, fire fighters or even vacuum cleaner salesmen in really bad neighbourhoods. Peril Number 1: Logging. The most dangerous job was, in fact, being a logger, “I’m a lumberjack and I’m okay,” notwithstanding. Logging isn’t just the most hazardous vocation in Canada, either. In fact, the top ten most dangerous jobs in this country are identical to the top ten list in the US. When looking at worldwide statistics, however, the ten most perilous professions are somewhat different from North American figures. Despite a number of variations between the two lists, lumberjacking still comes in at number one on the global rankings, as well. Apparently chainsaws really are dangerous, as is donning spikes and climbing tall trees to ‘top’ them or having a giant sequoia fall on your head. No hardhat can change that reality. The number of job-related deaths from logging in the US is a whopping 127.8 per 100,000 workers. This is astronomical when compared to the job that came in at the tenth spot; which was construction workers, who face a fatality rate just over a tenth of that of loggers at 17.4/100K. Peril Number 2: Fishing. The jobs that appear in the second and third position of the North American list are mirrored in the global record, too. Who knew that fishing, at number two and flying at number three could be such a threat? Fishing’s appearance so high up on the tally would certainly be a surprise for many but with a fatality rate of 117/100K definitely deserves it’s place in the risk parade. Fatalities come from drowning, and being crushed by heavy equipment such as the huge winches for hauling in the laden nets. Peril Number 3: Piloting Airplanes. Considering that flying is supposed to be, statistically, the safest way to travel, it seems counter-intuitive that the post of pilot would rate so high on the scary scale. It becomes somewhat understandable, however, when you factor in the risks in being a bush pilot, rather than a commercial airline pilot. This element of the piloting profession would account for the death rate it bears of 53.4/100K, or less than half that of fisher-folk, Flying those small planes in remote areas is so precarious; in fact, there are reality TV shows about it. Peril Number 4: Roofing. The first divergence on the danger depth chart occurs at the fourth position. In North America, roofers fall into this slot, mostly from falling off roofs, although heat stroke is another serious threat to shingling safety. The fatality rate for this job is 40.5/100K. On the planet-wide side, the roofing trade appears 15th while the fourth spot is occupied by miners, This fact may be indicative of North American efforts to improve mine safety, a focus seemingly not found in other nations. Peril Number 5: Metalworking. 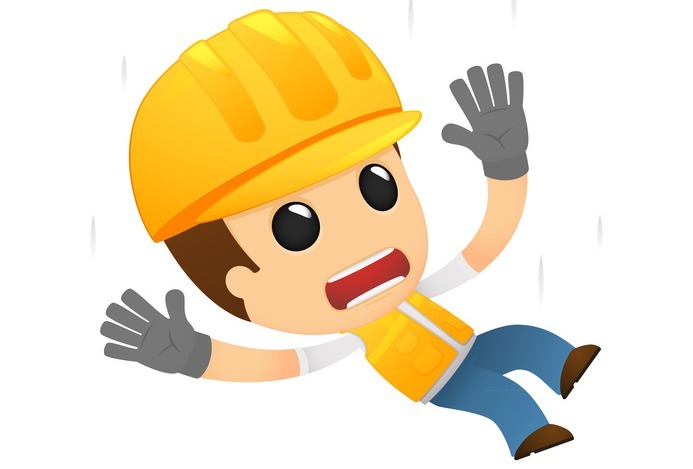 The fifth most dangerous duty in North America, statistically speaking, is iron and steel workers, largely as a result of falls from great heights and altercations with heavy equipment such as cranes carrying weighty payloads. Their rate of risk is at 37/100K. Globally, the fifth position is held by public transportation workers which can include everyone from cabbies to rickshaw drivers. This grouping, interestingly enough, doesn’t even make our continent’s top ten. Peril Number 6: Trash Collecting. In sixth place in the global list is a type of employment that one might think sounds far more frightening than say, fishing or logging, and that is land mine removal. This is, luckily for us, a rarely needed service in North America which is why it doesn’t show up on our top ten. In Canada and the US, location number six is held by sanitation workers, i.e. garbage pick-up personnel with a mortality rate of 27.1/100K. Trash collectors do appear on the planetary list, as well, at number seven. Peril Number 7: Electrical Work. In North American stats, the seventh spot is taken by the people who work on electrical power lines with a shocking rate of 23/100K. The hazards of this type of employment are easy to guess; electrocution being a big one, but also falls from heights and being crushed by heavy equipment. Peril Number 8: Truck Driving. Coming in at number eight for our continental region is the noble truck driver who show a rate of 22.1/100K. These brave men and women face such threats as vehicular accidents, of course but also being injured by their cargo during loading and unloading. On the global file, the eighth position is represented by search and rescue workers, another listing not found on the North American side. Peril Number 9: Farming. At number nine in our country is farmers and ranchers who, not only must deal with large, sometimes belligerent animals and equipment, but are also, like loggers and fishermen, a long way from medical help should something go wrong. This double whammy accounts for agrarian workers death rate of a hefty 21.3/100K. On the international scale, the ninth spot is held by metal workers which, as mentioned previously, occupy the fifth position in our country. Peril Number 10: Construction Work. As revealed above, in tenth place for our continent, are construction workers, who face threats from working at heights, having walls fall on them and being killed by heavy machinery such as fork lifts. Globally, in spot ten are mechanics who face greater on-the-job danger than astronauts (13th), police officers (14th), fire fighters (16th), alligator wrestlers and lion tamers (20th … seriously!) and stuntmen/women (22nd). Peril Number 11: Writing Top Ten Lists,Not really. We made this one up. The Peril of Remoteness. Part of the reason for such high fatality rates in jobs such as logging, fishing and farming is the fact that these jobs take place far away from medical help, should an accident occur. The speed at which first aid can be administered plays a huge role in deciding whether an unfortunate incident means life or death. Of course there are life threatening aspects to virtually every job, even the desk jockeys in our midst. It is important for us all to remember that no matter what our profession, our most important job is keeping ourselves and our co-workers safe. Chris McKerracher is a Social Media Marketer and Professional Writer for Industrial NetMedia. As a published writer, Chris has worked as a Journalist and a writer of Editorial Opinion as well as Humour sharing his take on business and politics. He currently provides a weekly editorial for a large Alberta Newspaper. Welcome to the SafetySpot News (SSN). Read about emerging technology, random website tips and lots of other safety related news. Subscribe above with the rss link.